Welcome back to The Nick Broadhurst Show, I’m your host, Nick Broadhurst, also known as Broadhurst in the music world. You can catch all of my music at www.iamnickbroadhurst.com, or you can head to iamnickbroadhurst.com/Spotify if you listen to Spotify. And some other good news is, as of today this podcast is now listed in Spotify as well, so you can catch all of my stuff in the one place. And that track you were listening to is iamnickbroadhurst.com/littlelover. That was my first song I ever released, it’s my biggest song to date and I hope you love it. So let’s jump into episode number 10; What Would Jesus Do? I believe this is the perfect way to kick off the week. It’s Monday here, and if you’re listening to this on a Monday, it is the perfect way to frame the week; how are you going to show up this week? And today I want to talk to you about a mantra that I live by. And it’s something which really had a profound effect on my life and a profound effect on Melissa’s life. But it also has had impact on everyone’s lives around us. In fact, every single person we touch when we employ this specific mantra really makes a huge difference, so I’m very excited to share it with you today, it’s very simple, but sometimes the simple things in life are the best, right? And I also want to point out that the simple things are the easiest to do and they are also very easy not to do, okay? And I think meditation is one of those perfect examples of what’s very easy to do, but it’s very easy not to do it as well. This one is so simple, and if you employ this, I promise you it will shift a lot in your life, if not everything. So, what is it? Now this is something which if you come to our house, you’ll see this written on our glass; on our bathroom mirrors, in this special crayon that we use that you can write on glass and mirrors, and it’s there as a constant reminder. So it’s very simple, the mantra is; what would Jesus do? Now, if you’re religious, this makes perfect sense. If you’re not, you might be questioning why am I talking about Jesus? Well, regardless of your beliefs, and I’ll put my beliefs aside at the moment, Jesus for me is just representative of love. So when I think of him, he’s the easiest way for me to tap into the feeling of what love would do as a human being, what action would love take? So when I ask myself the question, “What would Jesus do?” It instantly frames that in my mind as something which I can relate to, and I can take action on. So for example, when Melissa walks in the door, am I going to treat her like a mate, or am I going to treat her like Jesus? Which means, would I be complete love to her? How would I treat my son? How would Jesus treat his children? How would I speak to my parents? Well, how would Jesus speak to his parents? How would I treat the person who is on the other end of the phone doing customer service, and is annoying us because they can’t seem to get it right? Because one of my weaknesses is definitely customer service; when I’m on the phone to someone I have the tendency to treat them not so well, right? And that’s really stinky, and it’s a habit that I want to change, and I think if I had’ve just asked myself the question, “What would Jesus do,” then I would have treated that person very, very differently. So it instantly reframes how we can treat other people, but it also reframes how we can treat ourselves. And what would Jesus do for himself? Now of course, putting crucifixion aside, that was the ultimate act of love, how would he treat himself? Would he say nasty things to himself? Would his mantras be stinky? Would he be treating himself with love? And it also influences the decisions that we make. When we’re about to make a big decision in life, if we ask ourselves the questions, “What would Jesus do in this situation? What would he do?” We’re ultimately asking ourselves, “What would love do?” What would love do? Now, you can reframe this to Allah, you can reframe it to Buddha; sometimes when Melissa walks in the door I call her Buddha, because how would I treat Buddha? Would I give Buddha love and respect? Of course I would. So you can have fun with this; you could actually give your family members names, your children, your husband, your wife, and make a game out of it, it’s actually quite fun. But ultimately what it’s doing is it’s simply teaching us to come back to love, that’s it. And as you know, I am all about the love. That’s what I write a lot of my music about, that’s what my logo is about. And any reminder that we can use in our life which helps us come back to love, I believe, is something worth implementing. So I would love for you to try this out, and please share with me on social media how it changes your day, or how did it change a situation for you? And let me know, I would love to hear from you. You can tag me using the hashtag #TheNickBroadhurstShow and if you like, you can use the hashtag #whatwouldJesusdo, or whatever you like. But give it a go, and I think it’s the perfect way to kick off this week because it will enable us to become kinder to people around us, kinder to ourselves, and more inspired and love-based in the decisions that we make in moment to moment. So I hope that helps, I hope that’s a nice way to kick off the week for you, and if you are enjoying this podcast, now I must say, it’s been amazing to see so many reviews coming in. Thank you so much. I would love it if you left me a five-star review, by all means, tick the five stars. But if you can actually write me a review, I’d be so grateful because I just want to hear what it is that you’re actually liking, you know? And someone on Instagram live, Sarah, says that this actually helps her get out of bed. How cool is that? I love it, thank you so much for saying that, Sarah. 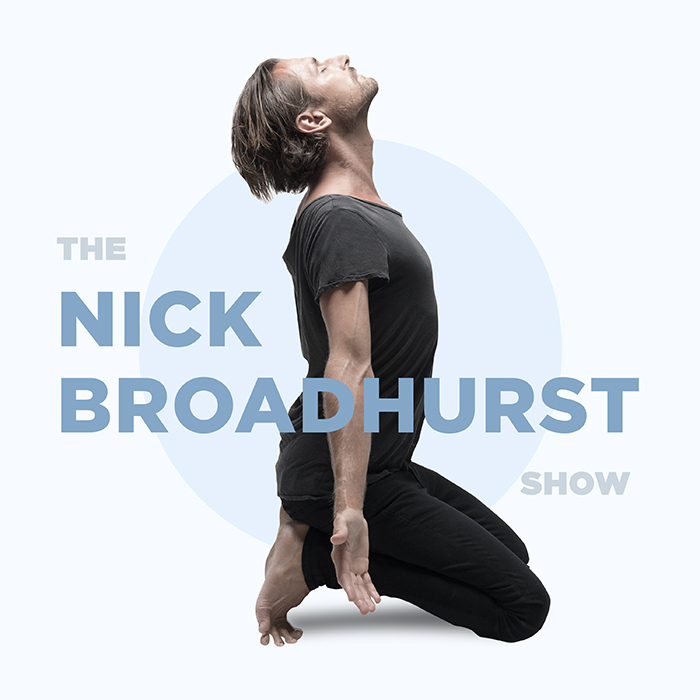 So yeah, please do share with me and you can get all the show notes at iamnickbroadhurst.com/10 and you can now get the full transcript of the show, every single episode within about 24 hours of the show going live. So thank you again for joining me, and I can’t wait to speak to you tomorrow. I love you heaps, and have a beautiful, love-filled, what would Jesus do day.